Tamil Nadu Chief Minister Edappadi Palaniswami met and had lighter chat with Indian Prime Minister Narendra Modi in New Delhi on Monday. Amid the Meeting, Palaniswami emphasized his and his party AIADMK request to give ‘Bharat Ratna’, the highest civilian honour of the nation to previous state Chief Minister J Jayalalithaa. He additionally requested Chennai central railway station to be re-named after AIADMK originator and previous Chief Minister MG Ramachandran. 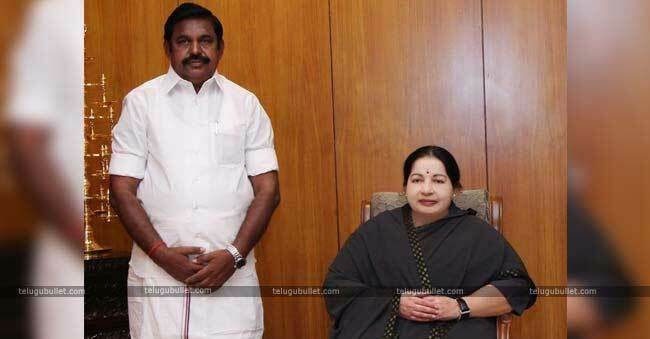 The Bharat Ratna “would be the most fitting approach to perceive the unprecedented public services, exceptional accomplishments and the amazing existence of a standout amongst the most persuasive political leaders of autonomous India,” Palaniswami said in the letter to Modi, reviewing Jayalalithaa’s welfare measures and activities. The Chief Minister also attracted Modi’s attention regarding a letter of December 18, 2016, of the state government prescribing the honour to the previous chief minister after death. J Jayalalithaa was the previous CM of Tamil Nadu and she passed away December 2016. She filled in as the CM of the state for five terms and praise and devoted by Tamil Nadu People over 14 years.